Pregnancy is a special process in a woman's life and full of changes physiological, anatomical and emotional. We have already commented that reduces stress, rejuvenates the woman up and positively change the brain. And also is the time when one becomes more intuitive, sensitive, open and receptive. The nature has provided so well. It is a pity that the current frenetic pace also affects pregnant women prevents enjoy this period magic and all its benefits. But fortunately there is an ancient technique that allows us to improve both physically and relax and be aware of all the messages of pregnancy: yoga. Yoga means union. Are there other time in life when we are more united to another living being? At 9 months we are two bodies, two minds, two hearts and two souls. We eat the same thing, breathe the same thing, we think the same thing and we know that what mothers feel also affects the baby. 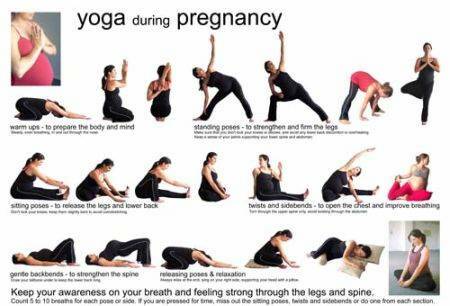 What are some of the multiple benefits of yoga during pregnancy? During the first quarter is not recommended the launching of any new activity because it is an extremely delicate moment. But if already practiced yoga in the months prior to pregnancy and women is well, there is no reason to discontinue the practice of yoga. In any case it is best to consult with a professional and with the doctor. Always avoiding the positions that compresses the abdomen, it is recommended not to force the body and that each position is made with comfort. Therefore, with yoga exercises and we have recommended to connect with the baby and increase our creativity in pregnancy, we can convert these months in a period of great personal enrichment sure that our son thanked us a lot. So much so that then we will have to baby-yoga with him / her.